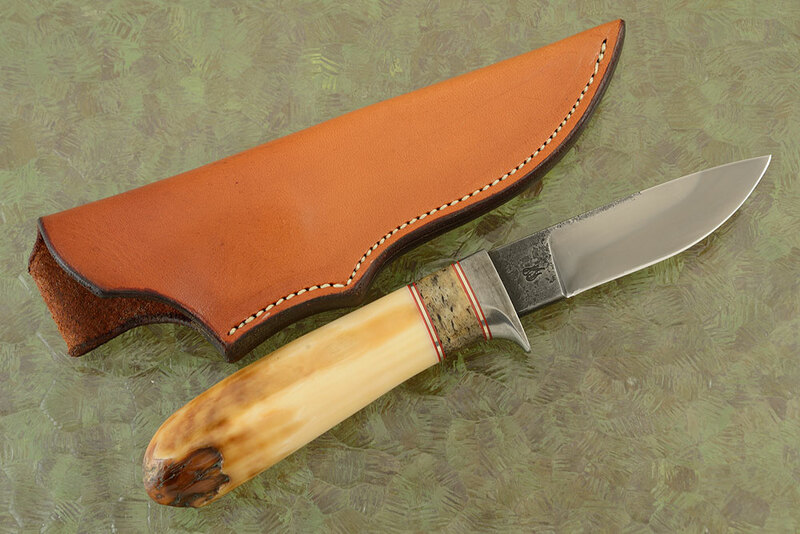 Description: This dramatic hunting knife is a tremendous example of Mastersmith Aaron Wilburn's work. The drop point blade is a perfect shape for getting nearly any job done out in the field. Many thermal cycles and normalizing steps ensure consistent grain structure. 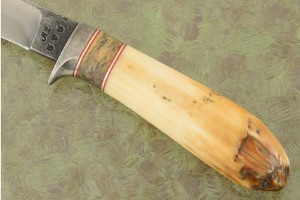 The blade was then double tempered at 400 degrees for exceptional durability. A cryogenic treatment between tempers enhances the edge holding ability. The blade was forged to shape from 52100 carbon steel. 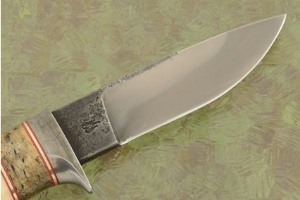 Many makers and collectors feel that this is the best steel available anywhere for use as a knife blade. The grinds feature a hand rubbed satin finish. The flats are forge finished. The hippo tooth handle provides a sure, comfortable grip. 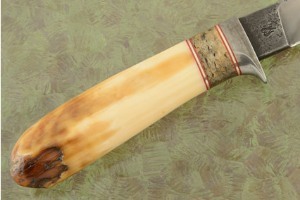 A spacer made from stabilized ancient bone provides a nice contrast. Alternating nickel silver and red fiber spacers assist the handle to adjust to temperature and humidity changes. This knife feels so natural in the hand, you’ll have a hard time putting it down. 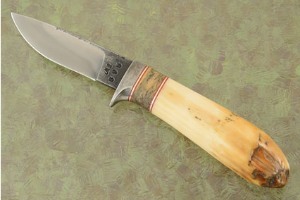 A serious knife for the avid hunter or collector. 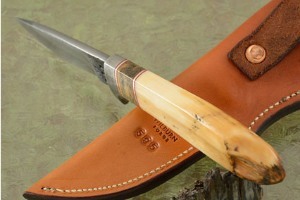 The knife is accompanied by a hand stitched pouch style sheath.